Do you ever get in a funk where you are just tired of trying to come up with something for dinner? Lately, my mom and I agree that we feel like we eat the same thing all the time and are in need of some new recipes to spice things up. I scoured Pinterest (follow my food board here!) and found 5 yummy, healthy and easy recipes that are perfect for dinners, especially during the school week. I've been really into cooking lately so I have been trying a bunch of these out and I must say, they are both fun to make and super delicious! They also don't take a lot of time to prepare because let's be real, spending an hour or more making dinner every night is not very realistic! This pasta looks absolutely amazing and only calls for 5 ingredients, aka the perfect school night recipe. A lot of the ingredients are things you most likely have on hand as well, so you might not even have to run to the grocery store and buy anything extra. 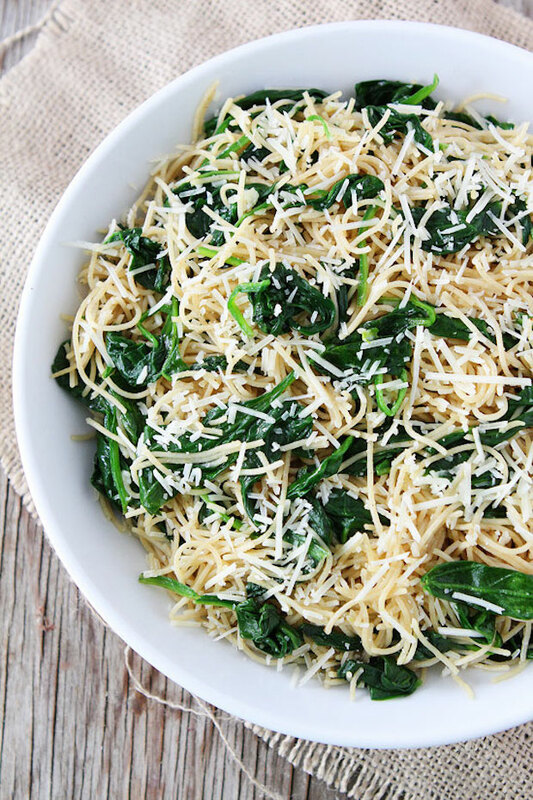 If you use whole wheat pasta, it's even better for you! 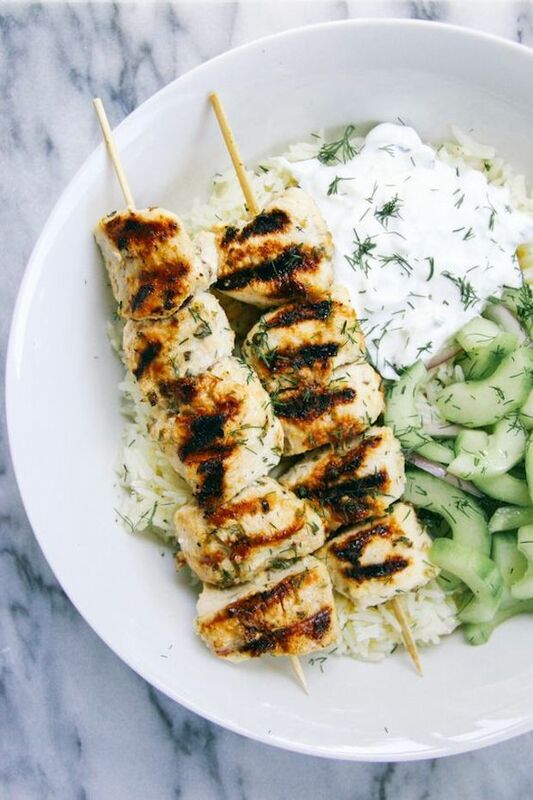 Grilled chicken is one of the basic foods I eat a lot, but change it up a bit by making kabobs, rice and a cucumber salad to go with it! This recipe has tzatiziki as well and while I'm not a huge fan of it you could easily make this dinner without and still have tons of flavor. Another great chicken dish, this recipe looks so flavorful and nutritious with the variety of veggies. If you're looking to mix up your usual chicken for dinner, this one looks amazing! I made cauliflower fried rice a while ago and surprisingly loved it. This recipe looks a bit more like a Chinese food dupe than mine was and I'm dying to try it! 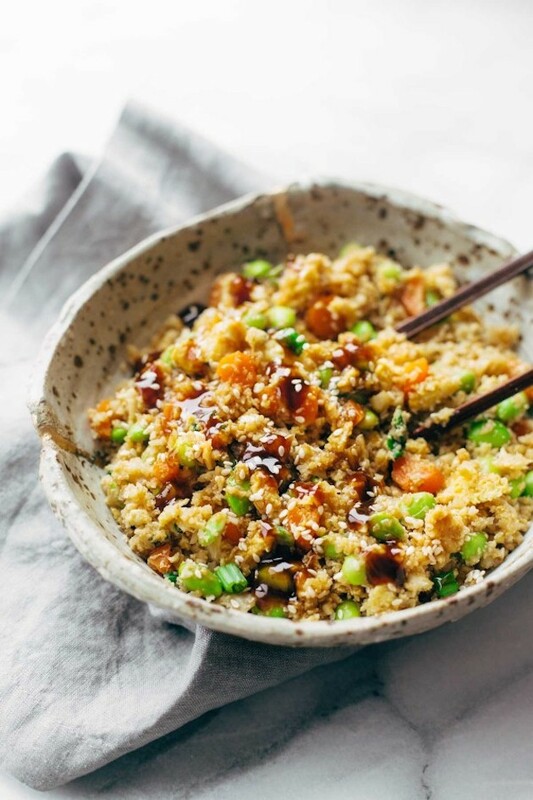 It literally takes 15 minutes to make and is so much healthier than picking up a box of actual fried rice from a Chinese restaurant. Which one looks most delicious to you? I'm in the mood to change up my usual chicken and try one of these now! 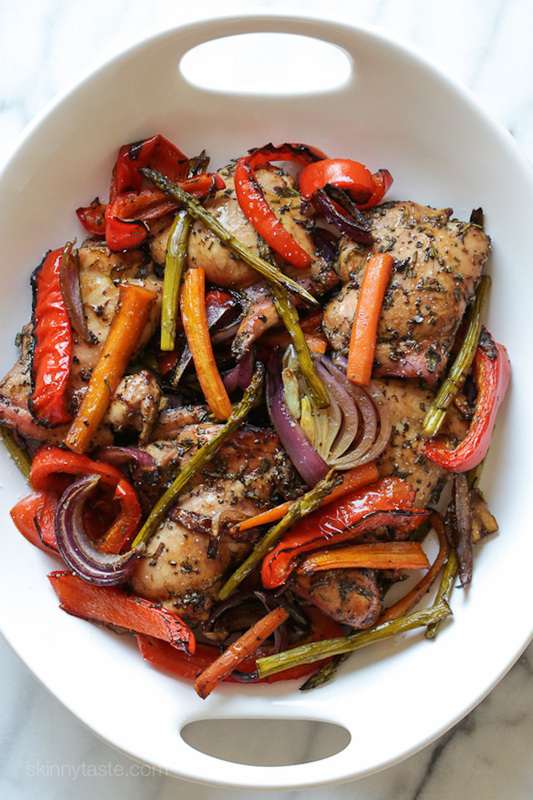 Balsamic chicken with roasted veggies is an undeniable champion! At least for our team http://jetessay.com/ that is especially fond of your culinary-oriented part of blog! You're very resourceful in many aspects :) Keep posting beautiful recipes!